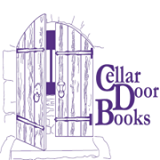 I'm looking forward to next week's event at Cellar Door Books. I'll be there promoting Sunshine in Darkness and checking out new books by other local writers. On September 21, from 4-7, Cellar Door Books will be hosting an Open Forum for some of Riverside's many writers who have published their own work or used other non-traditional publishing options. Come meet some of our wonderful local writers and hear them read from their work! Authors will also be offering copies of their work for sale and signing. We know our strong literary community will welcome the chance to hear from some of our wonderful local talent! Will do! See you there!